Omar, an attacking left-handed opening batsman and right-arm medium pace bowler, represented MCC Young Cricketers earlier in his career. Currently playing his club cricket in the Birmingham League for C&R Hawks, having previously captained Whitchurch, Omar made his Shropshire debut in 2012. His first appearance in the Championship was against Herefordshire at Colwall while his first one-day came in a win over Lincolnshire at Bracebridge Heath. He is the younger brother of Moeen Ali, the Worcestershire and England star, and Staffordshire captain Kadeer Ali. 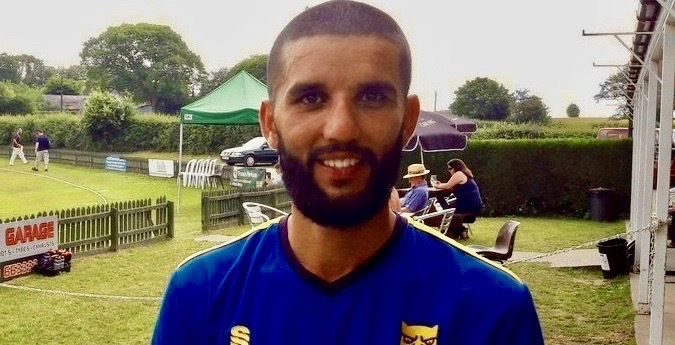 Birmingham-born Omar played Minor Counties cricket for Herefordshire before joining Shropshire and struck his highest Championship score for the county against his former club, 141, at Whitchurch in 2017.